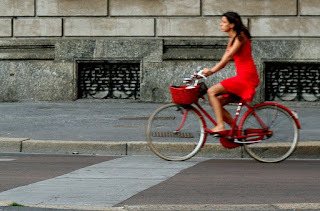 When you walk around Milan every once in a while you see a girl in a red dress and red shoes, riding a red bicycle with a red basket on it... Or perhaps it is the same girl? Red dress and red bicycle!! Beautiful!